Lennox Berkeley 's Sonata No. 1 for Violin and Piano. 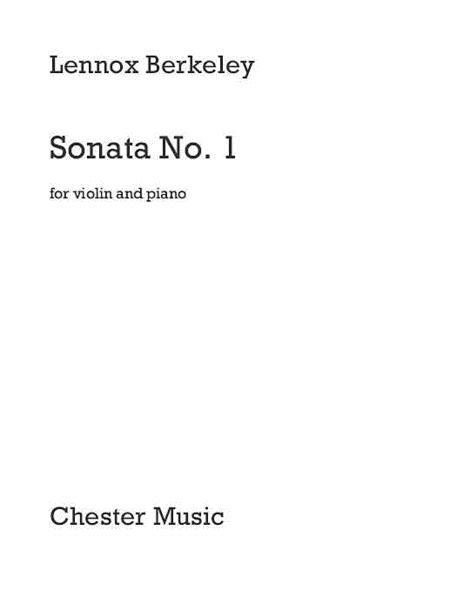 Written when Berkeley was studying with Nadia Boulanger, this sonata was premiered by Yvonne Astruc and Madeleine Grovlez for the Societe musicale independante at the Ecole normale de musique in Paris on 4 May 1932. The work is dedicated to Gladys Sophia Bryans, an elderly admirerof Berkeley who died in 1951. She lived at Rudge House, Painswick, Gloucestershire, and her house parties included Berkeley and Britten when they were working on their joint orchestral suite, Mont Juic in 1937. The first recording of this Sonata, along with No. 2, Berkeley 's official Op. 1, was made in 2013 by Edwin Paling and ArabellaTeniswood-Harvey on Move MD3361. Their performing score has been consulted for this first publication which has had the support of the Lennox Berkeley Society. The source is a manuscript in a copyist's hand now at the British Library. Lennox Berkeley's Sonata No. 1 for Violin and Piano. 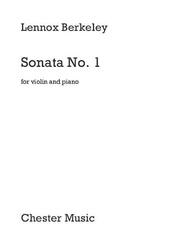 Written when Berkeley was studying with Nadia Boulanger, this sonata was premiered by Yvonne Astruc and Madeleine Grovlez for theSociete musicale independante at the Ecole normale de musique in Paris on 4 May 1932. The work is dedicated to Gladys Sophia Bryans, an elderly admirerof Berkeley who died in 1951. She lived at Rudge House, Painswick,Gloucestershire, and her house parties included Berkeley and Britten when they were working on their joint orchestral suite, Mont Juic in 1937. The first recording of this Sonata, along with No. 2, Berkeley'sofficial Op. 1, was made in 2013 by Edwin Paling and Arabella Teniswood-Harvey on Move MD3361. Their performing score has been consulted for this first publication which has had the support of the Lennox Berkeley Society. The source is a manuscript in a copyist's hand now at the British Library.